We have a total of 210 Deluxe Rooms. In our rooms we have used soothing colors to great effect, as well as relaxing lighting to help you unwind. The interior design of our rooms blends comfort with distinctive modern touches, as our guests’ comfort is our priority. 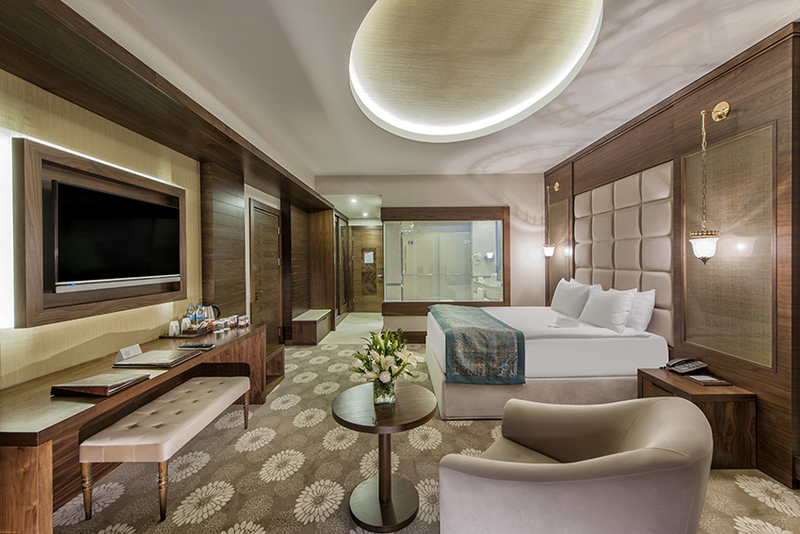 All of our Deluxe rooms are at least 20 m². Each Deluxe room has one large double bed (French bed) or two single beds (twin beds). 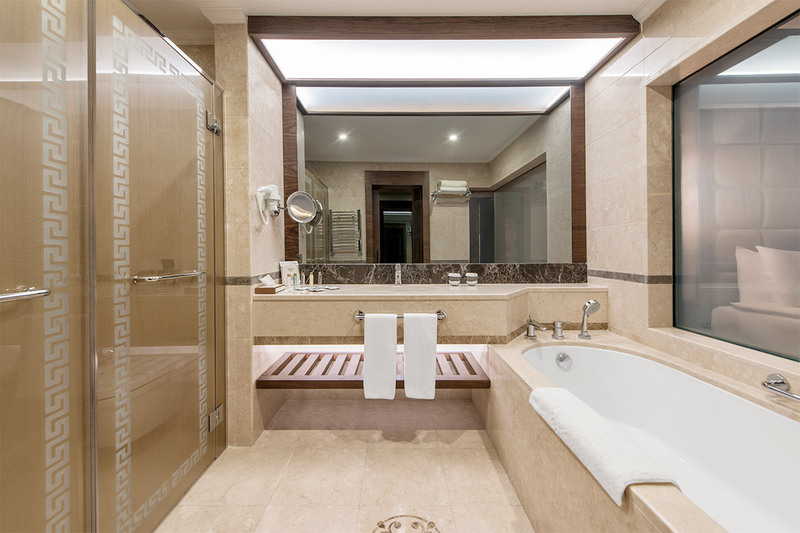 These rooms either have a shower cabin and a bathtub, or only a shower cabin. There are tea/coffee making facilities, a French balcony and Wi-Fi Internet access in each room.